There’s nothing worse than feeling like you don’t belong. Art galleries can be intimidating; institutional spaces where jargon serves to promote not only a deficit in understanding but also alienation from the arts. Discontent about the kind of language we use to talk about artists, artwork and their attendant artistic movements can turn a visitor into somebody who might never return. This thought-provoking and practical masterclass will provide exhibition-makers, press and marketing staff, curators, educators and anyone responsible for the text material at galleries and museums with the tools they need to think about arts writing from a fresh perspective. 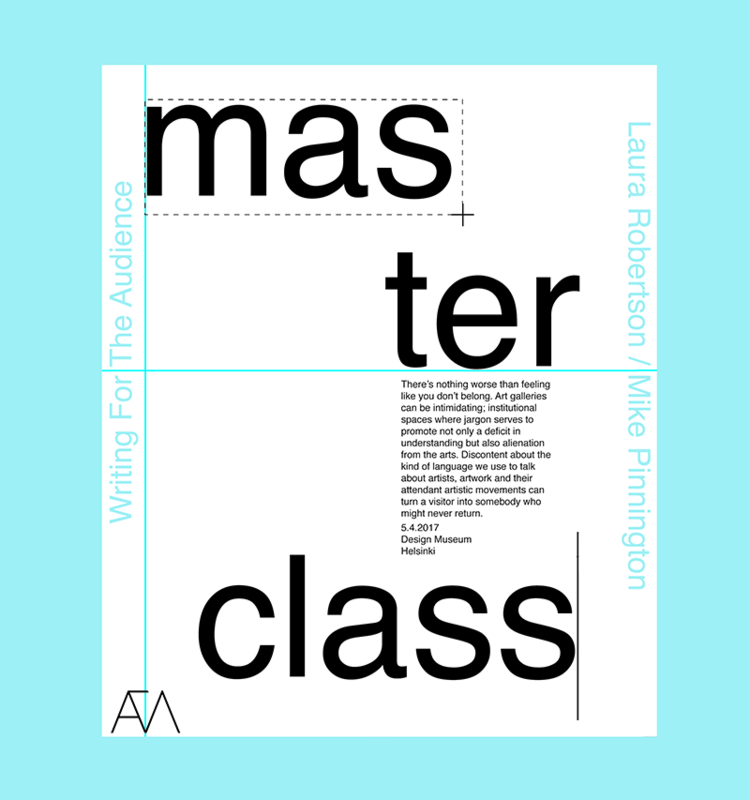 The masterclass takes place April 5th 9 a.m–5p.m at Design Museum in Helsinki. 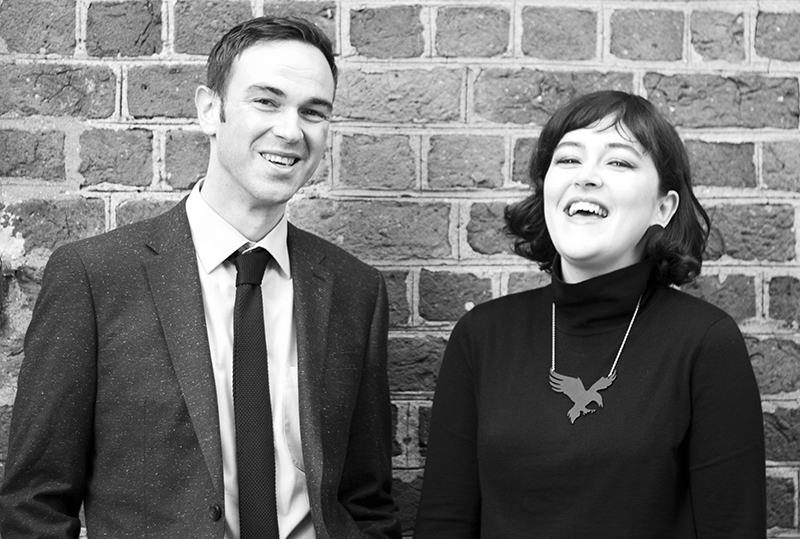 Using clear and meaningful language, Tate Liverpool Content Editor Mike Pinnington and art critic Laura Robertson will guide attendees to reassess the messages that accompany art; providing a new way of crossing the bridge between curatorial intent to the viewer’s experience and enjoyment. Lunch and coffee are included in the workshop, please mention possible dietary restrictions when signing up. Workshop is organized in collaboration with Finnish Museums Association. Sign up for the workshop from here. Laura Robertson is a freelance arts critic for national and international art magazines ArtReview, Art Monthly, a-n news, and Frieze. She co-founded The Double Negative magazine with Mike Pinnington in 2011, which is a respected platform of contemporary arts criticism and practice from across the UK. She is the author/editor of two books — On Being Curious: New Critical Writing on Contemporary Art From the North-West of England (2016), and The Designist (2012) – and teaches arts writing and professional practice at various art schools. Laura has curated exhibitions at UK organisations Tate Modern, Victoria Gallery and Museum, Exhibition Research Centre (Liverpool John Moores University) and at Bau (Centre Universitari de Disseny, Barcelona). She is trustee of The Royal Standard Gallery & Studios and the Artist Teacher Association. Mike Pinnington has been Content Editor at Tate Liverpool since 2013. Coordinating and delivering a coherent interpretation and information strategy relating to Tate Liverpool’s contemporary and modern art programme, he is responsible for shaping the way the institution talks to its audience both in and beyond the gallery. Prior to that he co-founded The Double Negative magazine with Laura Robertson in 2011, which is a respected platform for contemporary arts criticism and practice from across the UK. He is a trained journalist who has written freelance for The Art Newspaper, The Guardian, Aesthetica Magazine, Garageland Magazine, a-n and Creative Tourist, and co-wrote and edited The Designist (2012). He has guest lectured at various universities.